When you have been doing business outside the law for 50 years, it is difficult to go straight even if it is made easy for you. Five cannabis dispensaries in Northern California were recently shut down because they were suspected of laundering money, evading taxes and failing to carry workers compensation insurance. They are also suspected of illegal cultivation and distribution of cannabis . This happened in Santa Cruz County, a land that has long been part of California’s cannabis culture. It is hard to imagine a cannabis business crackdown in Santa Cruz. It is a town associated with hippies, surfers, and Californians who love the laid-back life. Affluent professionals, aging hippies, students from the local University of California campus, and tourists wander downtown streets visiting upscale boutiques and gourmet international food restaurants. It has long been perfectly normal to walk down any street of this town and smell pot smoke, and nowadays are no different except that the pot is legal. 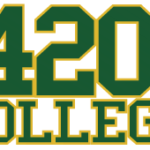 Legalization is one of the reasons why various law enforcement organizations and authorities in the state of California, including the California National Guard, have been tasked with cracking down on any cannabis business that is suspected of ignoring compliance with California marijuana laws. 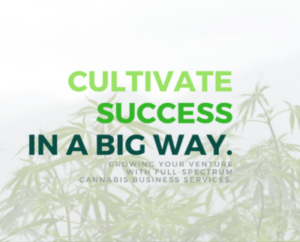 Thousands of cannabis cultivators, manufacturers, distributors, and dispensaries have spent money on lawyers, accountants, and cannabis license applications to take part in the gold rush of legal commerce in the newly legal cannabis industry. Less than half of California’s cannabis industry revenues comes from legal establishments, which is the amazing part. Legalization is truly more a factor of the need for tax revenues than it is the reversal of decades of unfair prohibition of a harmless high that might have medicinal value. When an illegal enterprise is shut down, the customers buy their weed somewhere else. That means some of that business will go to legal cultivation and retail businesses, and via taxes, money will flow to the municipalities for use in paying for community infrastructure and services. While law enforcement agencies are busy shutting down companies that are making revenues but not adding to tax receipts, there is another problem. Most banks are turning away any deposits connected with cannabis because it is still considered illegal by the Federal Government. One reason banks avoid cannabis money is they don’t want to lose their FDIC deposit insurance. There are work-arounds involving gift cards and deposit institutions called cannabis banks that aren’t involved with the FDIC — they just hold the cash so it is reasonably safe. 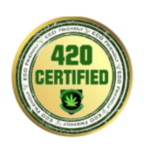 Many cannabis businesses invest their cash in cryptocurrencies, which has market risk. If cannabis businesses can’t deposit their money in banks, it is difficult for them to pay taxes.The California legislature has just introduced a bill that seeks to solve this bottleneck caused by tardy Federal action on legalization. California Assembly member Phil Thin is sponsoring a bill that will allow the State and municipalities to accept tax payments in cryptocurrency. It isn’t expected to become law until at least 2020, but it might be the only solution if the SAFE Banking Act isn’t passed by the U.S. Congress. There appears to be a strong likelihood that the SAFE Banking Act will not make it into law even though nearly every State has legislated some form of legalization of commercial cannabis. Legal chaos is no excuse in support of doing business without the appropriate licenses and permits. It also doesn’t excuse sloppy compliance with the laws for legal cannabis businesses. 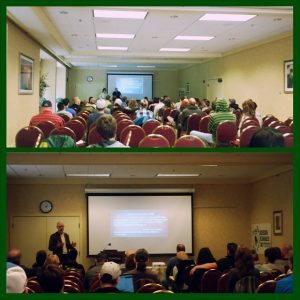 The cannabis business seminar focus is on how and why you need to start up your marijuana business PROPERLY and LEGALLY, under the state and local programs in your area! 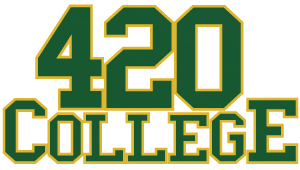 420 College’s primary objective is to – first and foremost – provide the facts – period. Go ahead and sign up for our next seminar in your area, click here.